It looks like the skillet 'trend' is here to stay. With so much cooking around this holiday season, what's not to love about making a dish with minimal clean up? With skillet entrees and desserts, you can keep it simple. 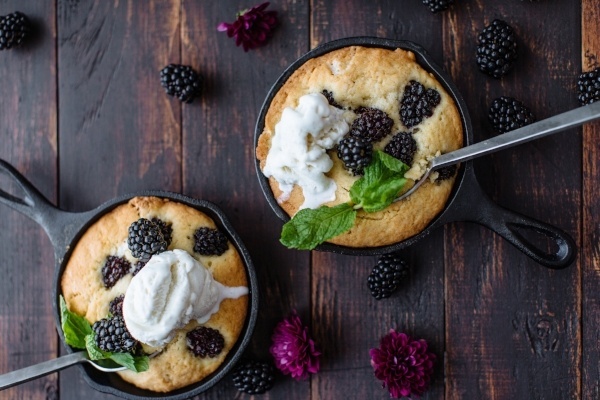 All you need is great ingredient, like fresh berries, and a cast-iron skillet to bring your next tasty meal to life. I've rounded up some of my favorite skillet recipes to help get you started on your path to simplistic culinary bliss this holiday season. 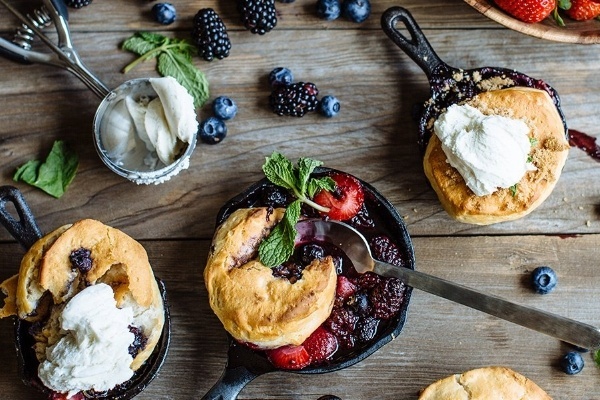 Biscuits and Berries for breakfast. Add ice cream to treat yourself to a sweet start to the day! 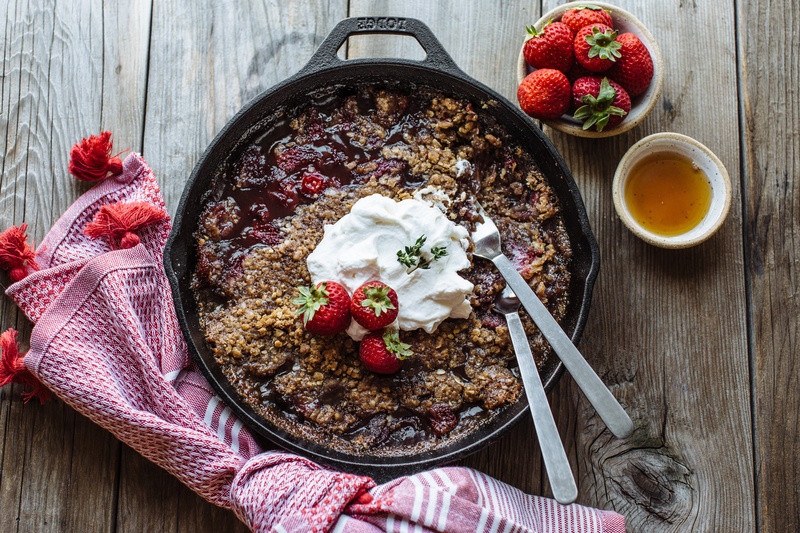 Cooking with a cast-iron skillet is all about bringing the heat! I love this recipe. With the heat of the pan, your biscuits will bake to golden perfection. 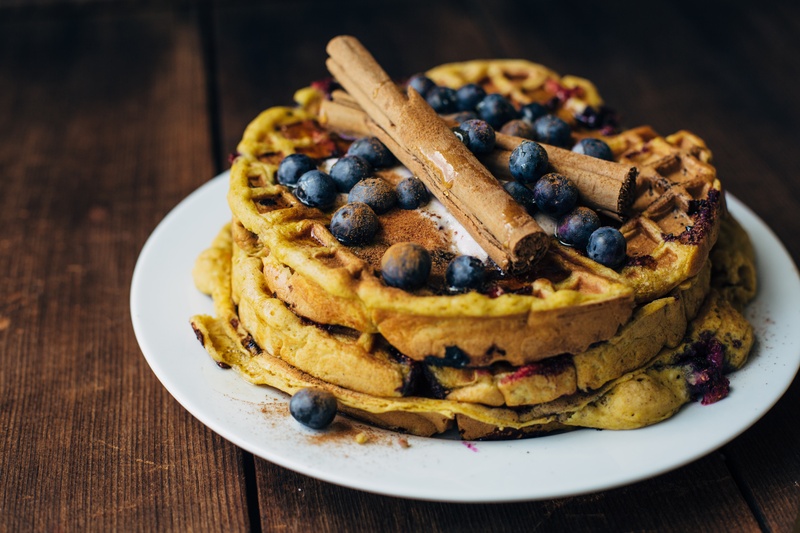 Your macerated berry mixture will add that splash of sweet and tart flavor... and if you feel like breaking some rules at breakfast- add a dollop of ice cream. Don't worry- it won't land you on the naughty list! 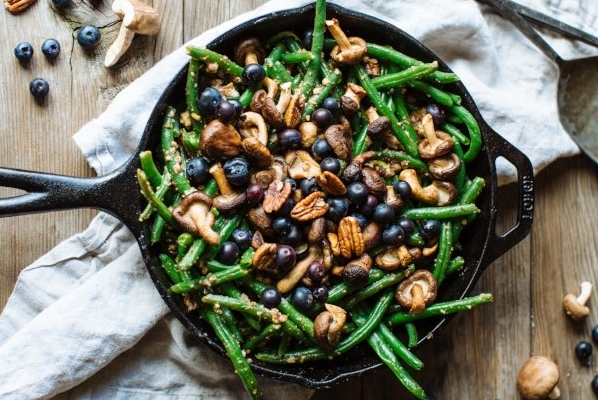 Shiitake Mushroom and Blueberries are show stoppers at dinner time! Full of diverse textures and captivating flavors, this dish is a joy to share with my family during dinnertime. And when we're all done with dinner and settling in for the night, I have the satisfaction looking back and knowing we ate a nutritious dish and shared a delicious experience together. Tacos for Tuesdays - and every other day, too! Tacos are not reserved for one day a week in my house, and with this skillet prepared taco recipe we could gladly have tacos every evening! The way the skillet sears the chicken and tortillas makes everyone come back for more. More than anything, I like preparing this meal because of the strawberry salsa. 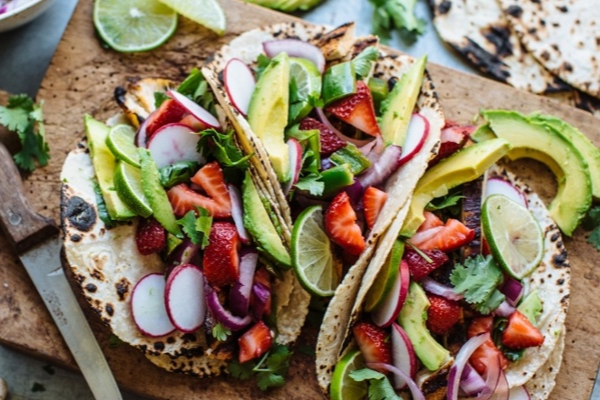 It's a zesty combination of lemon, radish, onions, cilantro and, our favorite, strawberries. I heap spoonfuls of it onto every taco to ensure everyone in the family get a healthy dose of fresh fruits and veggies for the day. I never like to arrive to a party empty handed. This recipe comes in handy when I need to whip up something tasty to bring to a family get-together. And this time of year, there are MANY family gatherings. 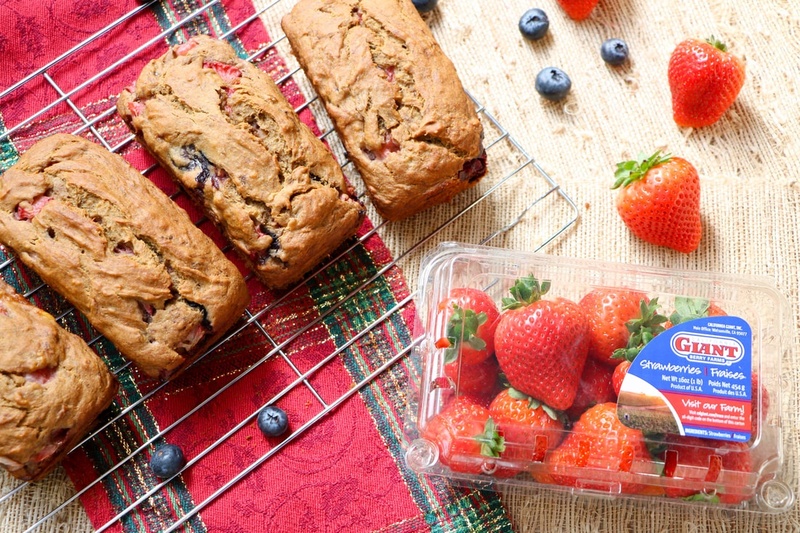 Infusing my baked goods with berries is a quick way to add a hint of nutritious goodness during the all-too-sugary holiday season, and that's why I love bringing this pound cake to the family table. Happy Holidays! As we jingle all the way to a New Year, we love to share our holiday inspiration with you. 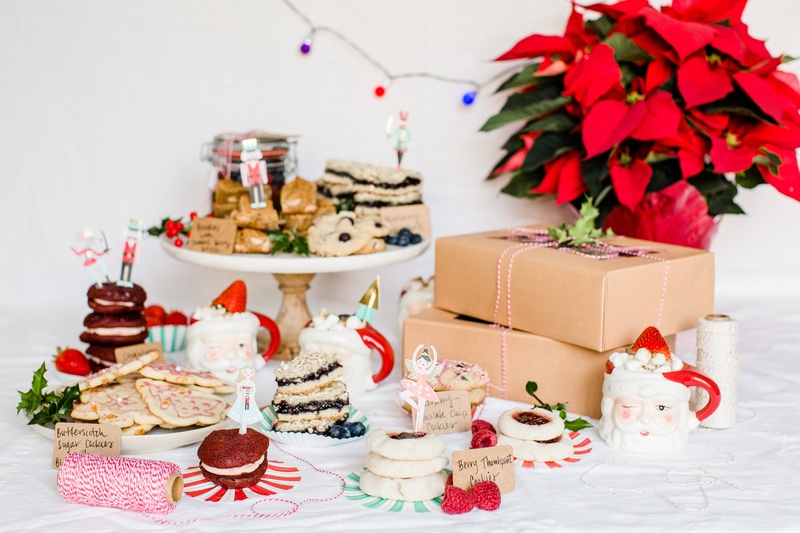 For more holiday baking ideas, subscribe to The Buzz Blog and visit the Merry, Berry, and Bright Cookie Exchange to share ideas of your own!